Tokyo Rugs | The Rugs Warehouse. 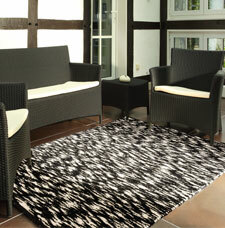 Tokyo is a range of ultra-luxurious flat-woven New Zealand wool rugs. The rugs feature a unique shaggy style in flat-weave, which is absolutely exceptional and is an innovative take on flat-woven rugs. In addition, the rugs also feature a pebbles style base alongside the short shaggy style yarns, all of which results in a stunning unmatched luxurious look. Each rug in this line is available in a multitude of colours and sizes. Please note that due to the dying and weaving techniques of this range, each rug will feature slight variations of the same colour (as per the close-up image), however this does not affect the overall look. Please also allow for a 3% variation in size.